“Having visited Australia earlier this year I was able to meet the coach and players at Collingwood, which made the decision a lot easier. I was welcomed in to the club from the beginning and everyone was so generous to share their time and knowledge.” At 169cm, Rowe has seen success in both football and soccer in Ireland but admits that transitioning into Australian rules football will be another challenge. “I watched Australian football and, like any new sport, I know the game will have different demands on my body. 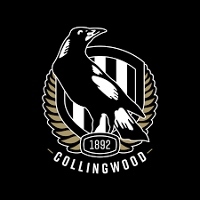 Rowe’s signature was sought by clubs across the league during her visit to Australia in May and Collingwood Performance and Strategy Manager Marcus Wagner said he was pleased with her decision to join the Magpies. “When Sarah visited the club earlier in the year we were very impressed with her professionalism and drive for success,” Wagner said. Rowe is currently overseas recovering from shoulder surgery and will relocate to Melbourne ahead of the AFLW pre-season later this year.